Book your transfer with Fox Limousine on our Private Airport Transfer service today! At Fox Limousine our Private Airport Transfer service is available for transfers between Denver Airport, and 197 locations across United States. The Private Airport Transfer service aboard Fox Limousine is an express on-demand door-to-door transfer service. Your vehicle will be travelling exclusively for you and your group, directly without stops or delays, to your destination. Your transfer time will be best suited to match your specific requirements and the driver will pick you up and drop you off whenever it suits you. Our Private Airport Transfer service is available 24 hours a day 7 days a week and can be booked up to 24 hours ahead of travel. At Fox Limousine we offer fixed transfer fares starting from $120.00 USD total one-way and with enough seat capacity for up to 14 passengers. Your final fare with us includes luggage allowance for 1 carry-on bag and 1 check-in bag per passenger. Also included in all our fares are airport parking fees, any tolls along the route and your drivers waiting time. 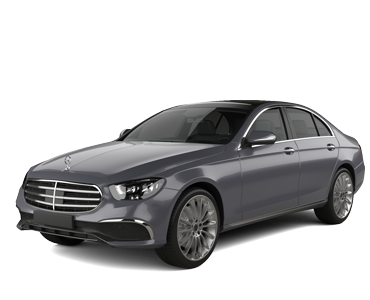 Fox Limousine is a transport company based in United States and we have been a professional transport supplier on Jayride since December 2016. If you are looking for the premier limousine service in Denver, Colorado, there is only place to visit, regardless of what your criteria is. Some people will look for class and style, others will look for room and comfort while some people want to party. All of these needs can be easily met while offering safety and attention to your every need. As you will know, having a choice means so much in the world today and being able to make the right choice can make life so much easier. This is why we are proud to offer our customers a wide selection of vehicles for their transportation needs. With stretch hummers, bus party limousines, sedans, limo vans, suburban SUVs and of course, the timeless stretch limo, you should find the right vehicle for your needs. Be it business or party-time, making a trip to the airport or having a family celebration, having the right sort of vehicle to transport you to your destination can make a great day even more memorable.